M48 Black Military Fanny Pack - Heavy-Duty Nylon Construction, Multiple Pockets, Adjustable Waist Strap, ABS Buckles | BUDK.com - Knives & Swords At The Lowest Prices! 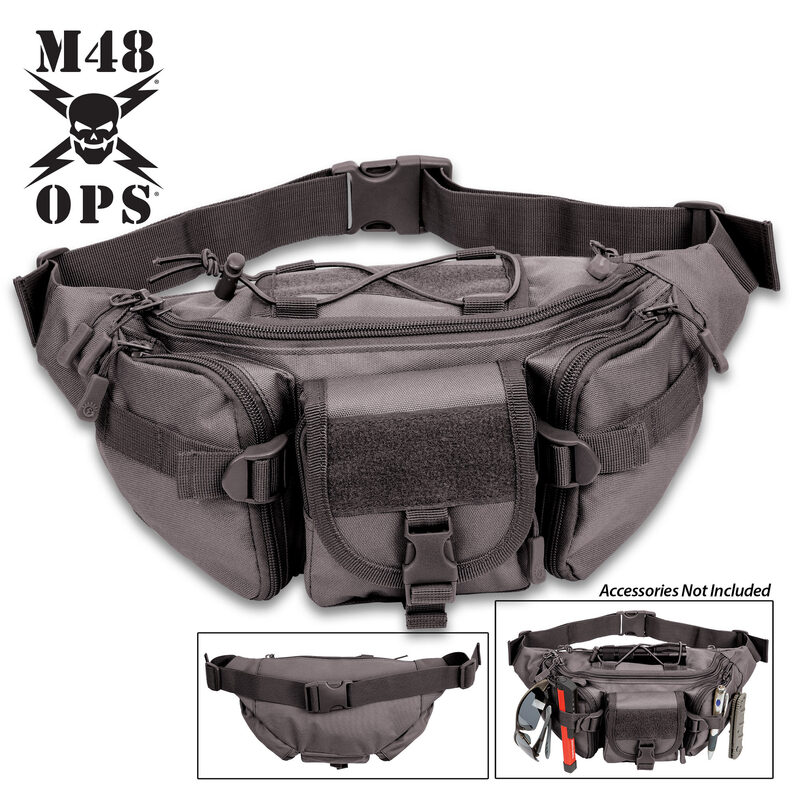 The M48 Black Military Fanny Pack allows you to carry your mobile phone and other small tactical must-haves both securely and easily accessible. 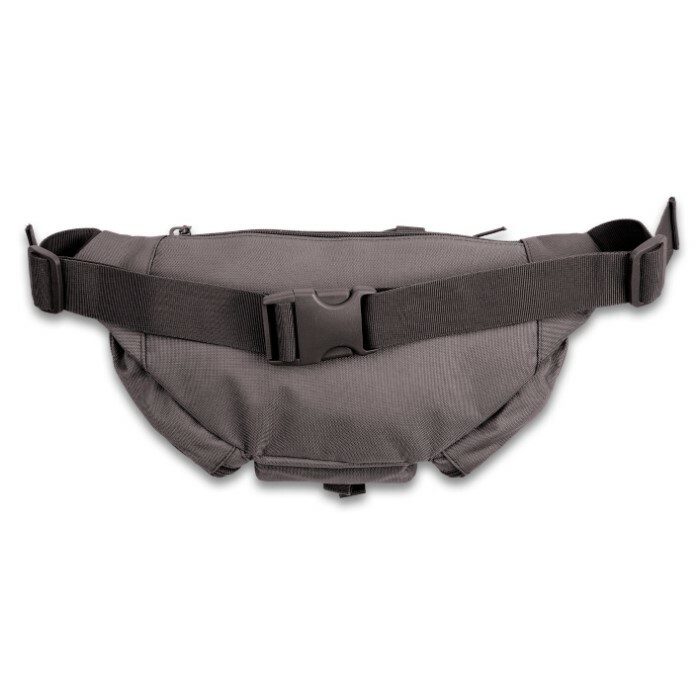 It has a military-grade 600D Oxford canvas construction with a nylon fabric interior, sturdy metal zippers and ABS quick release buckles. 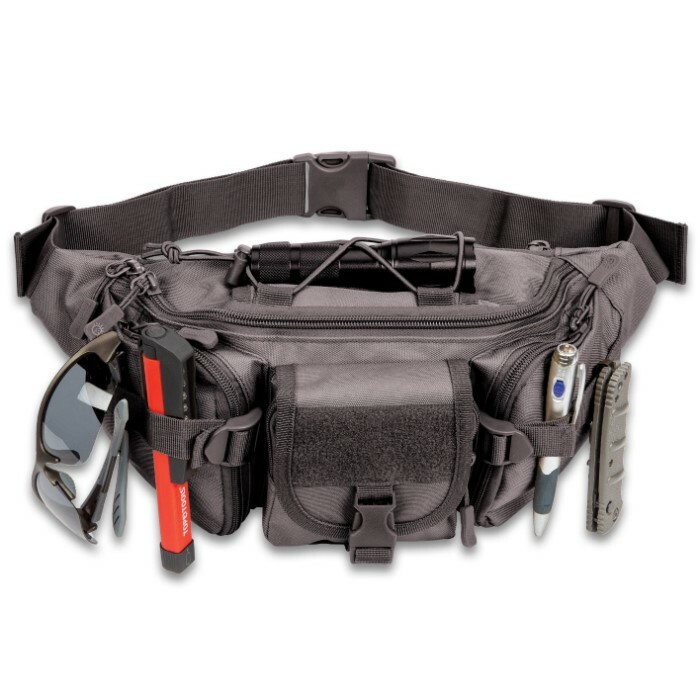 The bag has a large main compartment with an interior pocket, a pocket on the back and one on each side, all with zipper closures. The front of the pack has a small zippered pocket with a buckled flap closure and it also has nylon cinch straps with ABS slides. 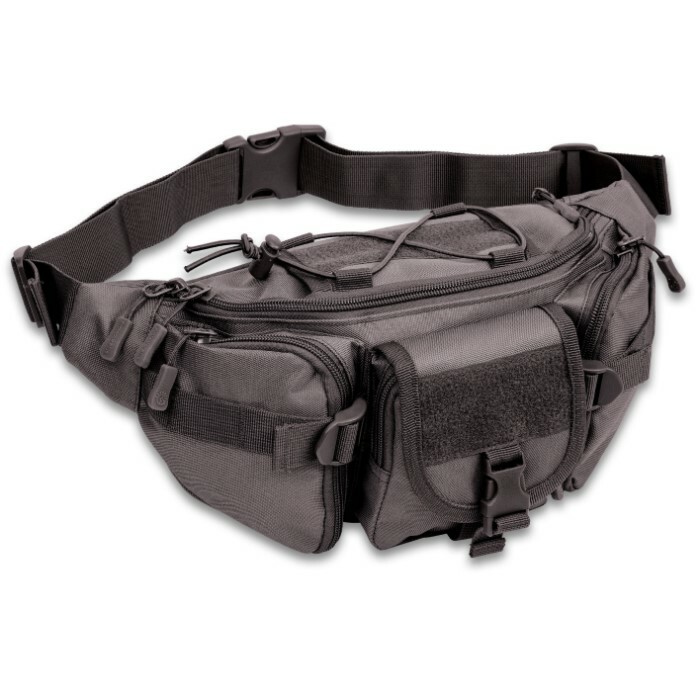 The black fanny pack is approximately 13 3/4" x 7" and has an adjustable nylon waist strap with a quick release buckle. This is my adventure bag. 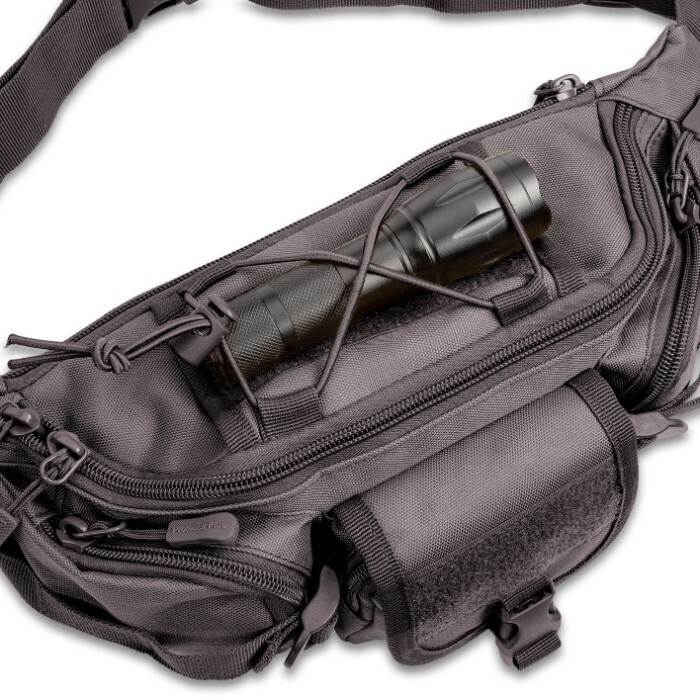 It carries an aluminum canteen, sunscreen lip balm some med supplies, pen, misc gear, flashlight, knife, a flask, matches a handkerchief and a .38. It fits it all snug but not over packed. The weight is good loaded and it's relatively secure, but in a pinch I'll knock an intruder out using the bag itself. It's early yet so we will see how it weathers but I've taken it caving and into a cenote or two in Mexico (sans sidearm) and it held up great! This is my go to bag for a day trip, it is good!